I slept well and woke up feeling rested and full of power. Finally the race day, Celtic Chrono. Some porridge and a banana for breakfast. This would be the fuel for the 34km long TT. I went back to the room for another hour to rest and get ready for the race. I went through the course once more in my mind. How to ride the corners? Where tho change the gear? Where to accelerate? Where to try and save some energy? I was ready, Ready to suffer. We had an own cardriver, who picked us up and brought us to the race. He followed me during the race. Awesome! Just can’t believe how well I was treated during this weekend. I started with my warm up. I rode the last 2km of the race back and forth. There was hardly no traffic today so it was fine to do the warm up on the road. 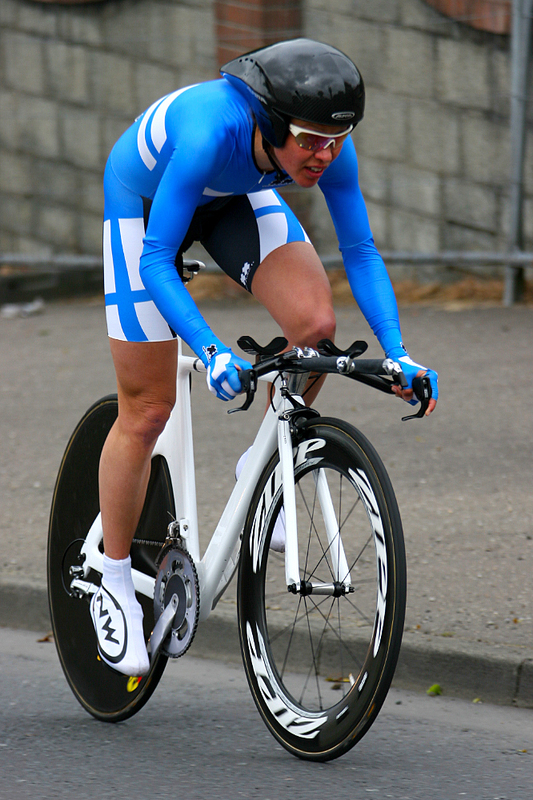 My TT bike is a custom made bike, so it does not fit into a turbotrainer. It is a very narrow bike, a very slim bike. It is all about beeing aerodynamic. I went of the startramp. The first part of the course we had a heavy tailwind. It was very windy today and sometimes it was a bit scary to ride with the 808 front wheel. A few times had to grab the handle bars to be a bit more stable. I only allowed myself to be in this position for a few seconds. Every second in a non aerosynamical position will affect your final time. I crossed the finish line in second position. I found my name in fourth place in the results. I even surprised myself riding such a strong race.